Material: Gold Plated with ECO-Friendly Zin Alloy, Crystal, Pearl. Brooch Size: H*W (1.45*1.2 IN). 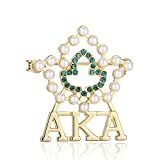 Beautiful Alpha Kappa Alpha sorority ivy pearl brooches gifts for pretty women girl. 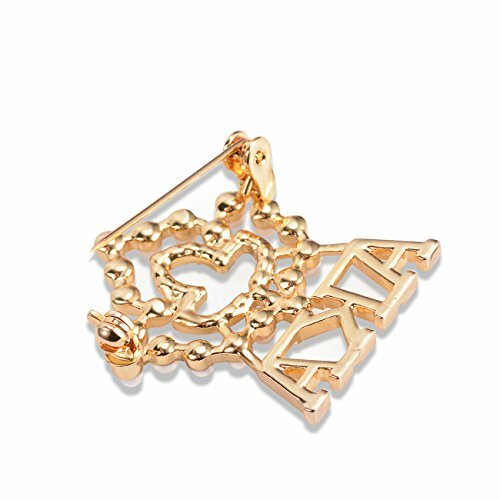 AKA Sorority Jewelry Brooch with the Sparkling Zirconia Diamond highlight your beauty and fashion, can grasp everyone's eyes in the crowd. 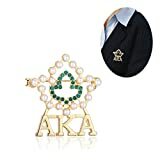 PACKAGE: Comes with a nice gifts jewelry velvet bag. 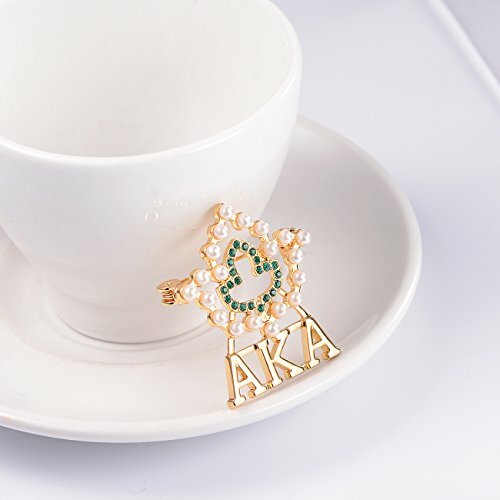 These Alpha Kappa Alpha brooches pins are perfect for any AKA event and new member gifts! SATISFACTION GUARANTEED: If you are unhappy with your purchase, please let us know. We will refund your money upon return of the unwanted item. 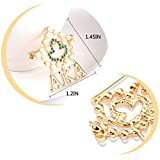 ☞LANQUEEN Jewelry has its own factory with 15 years professional experience and lots of jewelry technology patents. Every Jewelry is well designed by our professional designers. ☞And our producing steps are with strict quality control. 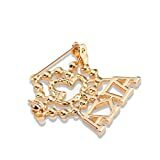 ☞LANQUEEN Jewelrys focus on designing jewelry day and night, providing elegant jewelry to make women more charming and attractive. ☞All Jewelry are gifts full of love, bringing happiness and fortunate, expressing bless and appreciation. 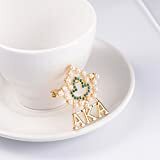 ☞Believing LANQUEEN Jewelry commits to create exquisite and elegant jewelry to add sparkle to each girl / woman's everyday look, let them look more beautiful.